Father’s Day at Taco Surf with Steel Parade! 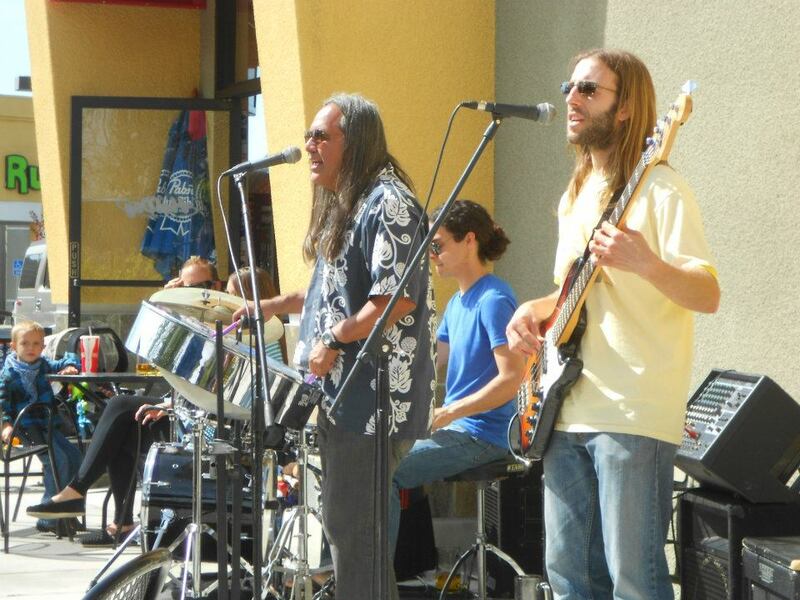 looks like we will be doing our thing at Taco Surf for Father’s Day this Sunday. we’ll be toasting to all the father’s. they’ve earned it. let’s honor Pops with a beer held high! Taco Surf is located at 16281 Pacific Coast Highway, in Surfside, California. some people call this area Sunset Beach, but it really is Surfside on one side of the street, and Sunset Beach on the other side. the event is FREE, and all ages are welcome. Steel Parade will perform from 4p-7p. your comments are always encouraged and welcomed! Hot Dogs and Beer this Sunday, June 10th, 2012! it’s a strange path as a musician. we end up performing just about everywhere. concert halls, private homes, corporate buildings, yachts, rooftops………..you name it, we’ve played there. so it’s interesting to see where we end up each week. this week we will play at The Hot Dog Shoppe in Lakewood, CA, which is the city next to our hometown of Long Beach, CA. we’ve played here twice this year, and it’s been surprisingly fun. it’s a relaxed setting on the patio with picnic tables an umbrellas. this setting works well for our style of laid back music. as strange as this may sound, one of the reasons we agreed to perform here is because of the hot dogs. there is so much negotiating that can sometimes happen when hiring our band. location, time of performance, length of performance, number of musicians, reason for performance, budget, etc, are often the make or break reasons for each event. while i do my best to make everything work for each potential event, there are factors that are more desirable than others. in this case, gourmet hot dogs are part of the “desirable factors”. funny. it was never discussed while we were working out the details to perform here. it was just understood, with out words. plain and simple: the band likes to eat hot dogs. well, most of us do. Chris the Bass Player is a vegetarian, so he might enjoy the Vegetarian Dog that is offered at The Hot Dog Shoppe. but Chris the Bass Player is out of town this weekend, so Joe the Percussionist will be Joe the Bass Player for this event (see our previous post on the importance of being versatile). this means we will enjoy playing our music while eating gourmet hot dogs and drinking ice cold beer on tap. not too bad of a way to spend a sunny Sunday afternoon in SoCal. finally, The Hot Dog Shoppe fits the criteria of “all ages” and not “21 and over only”. why is this important? simply put, i like the energy of children in a group setting. it allows for the audience to be more of a family rather than a club. as a general rule i attempt to perform at venues that allow for all ages. it just feels better. i guess you could say that we are a “family band”, but it goes deeper than that for me. i’d like to think we are coming from service, and this particular service is to provide a space and atmosphere for everyone to enjoy. it’s not about the band. it’s about the band serving the community. you’ll never hear me say “support the band” or “support live music” or any other common catch phrase that our local art nazis proclaim at every turn. nope. i’d rather say “join the party!” and “we’re here for you to have fun!” i’m weird that way. so be it. 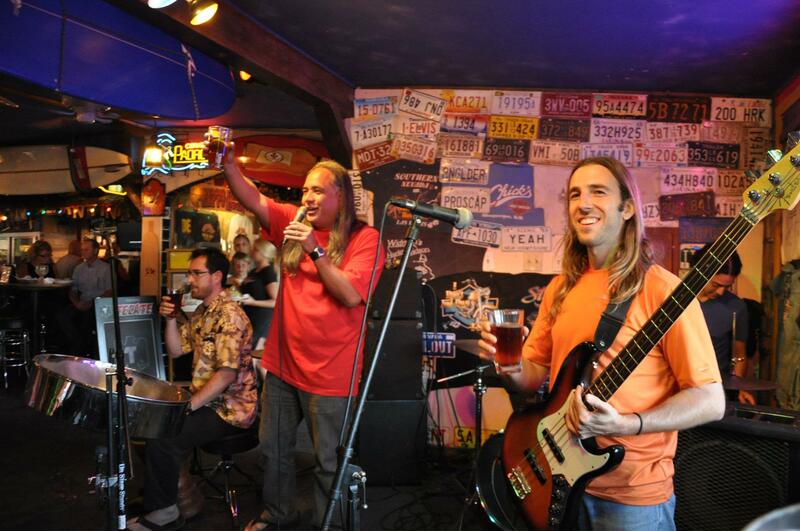 Steel Parade will perform on the patio this Sunday, June 10th, from 1:30pm to 4:30pm. The Hot Dog Shoppe is located at 5125 Candlewood, Lakewood, CA. if you’re looking for something to do, you know where to find us. 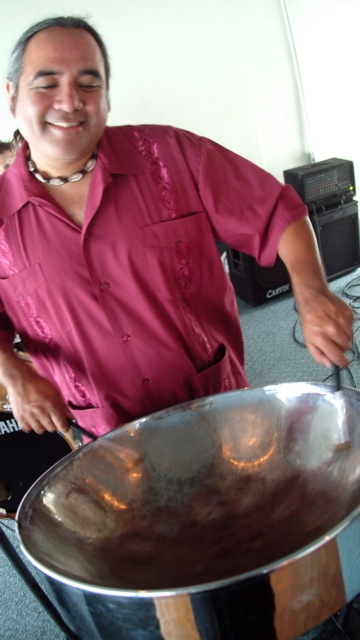 on this day Steel Parade performed for a private backyard birthday party in Aliso Viejo, CA. this was the second of two gigs for the day. are you a Steelhead? visit the Steel Parade Facebook Fan Page! today we performed for a 60th Wedding Anniversary Celebration in Long Beach, CA. join all the fun on Facebook. Steel Parade is available for your next event.